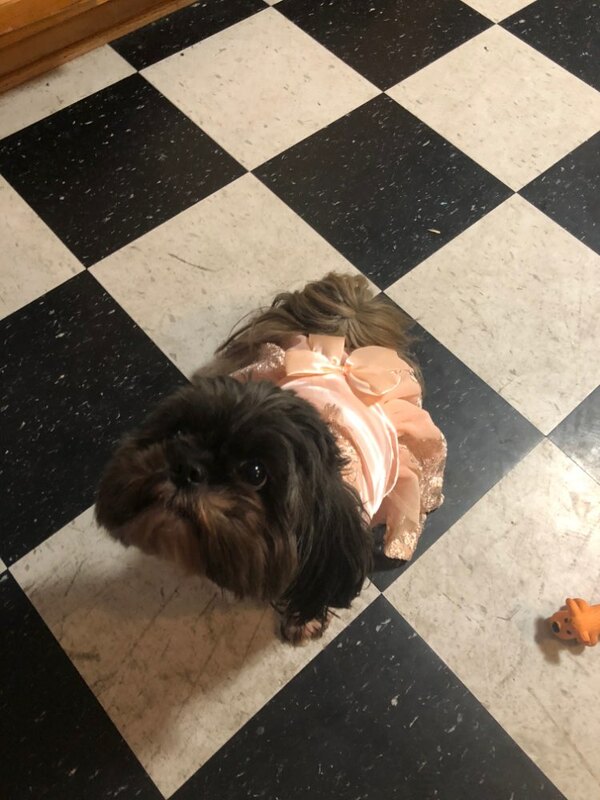 The "Princess Pooch" Embroidered Dog Dress is a beautiful canine outfit that will ensure your precious pup is a show stopper, whether for her own party, while participating in her owner's wedding, or any other special occasion! 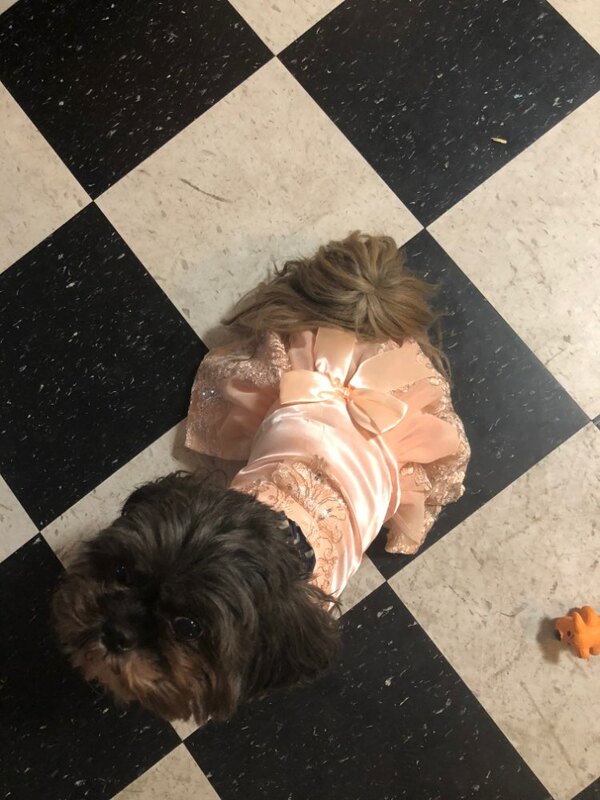 This embroidered, sequined dog dress is a lovely piece of pup apparel that will ensure your sweet girl looks her best. The soft dress material is lovingly accented with floral embroidery and light-catching sequins to pretty up your pup. The dress's look is tied together (literally) with a lovely bow on the back! Beautifully made. 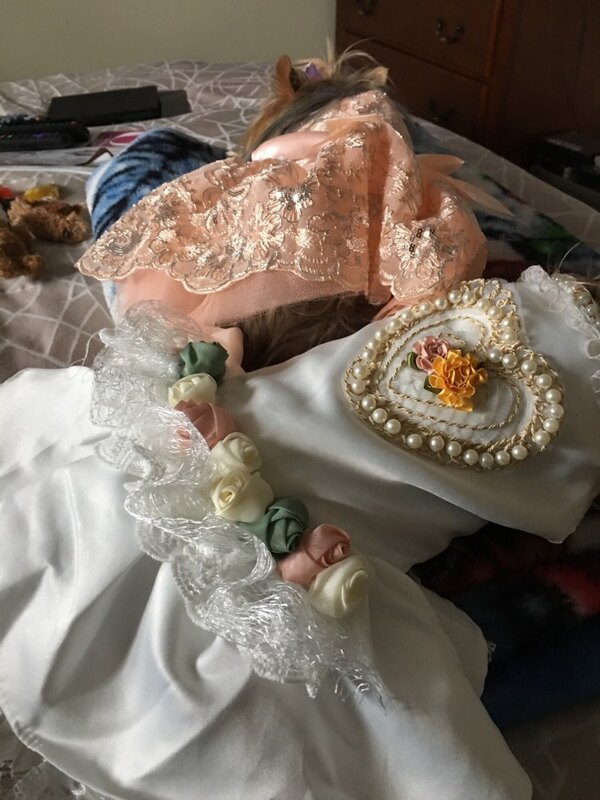 A true princess dress for special occasions. Thoughtful design allows easy dressing without twisting her little arms. I don't know how they can make such a beautiful garment for this price. I can't even buy the material for what I paid for this little dress.